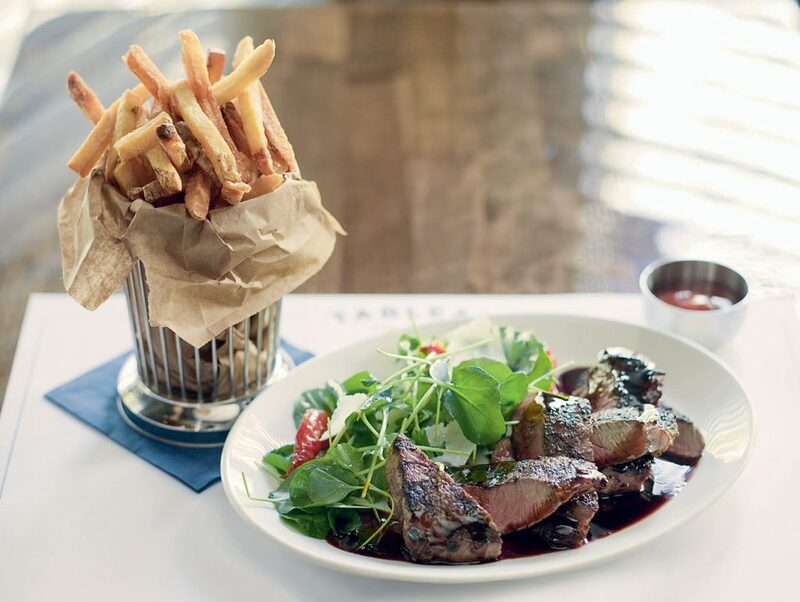 Grilled sirloin with watercress and red wine sauce and a side of fries at Tableau Bar Bistro. 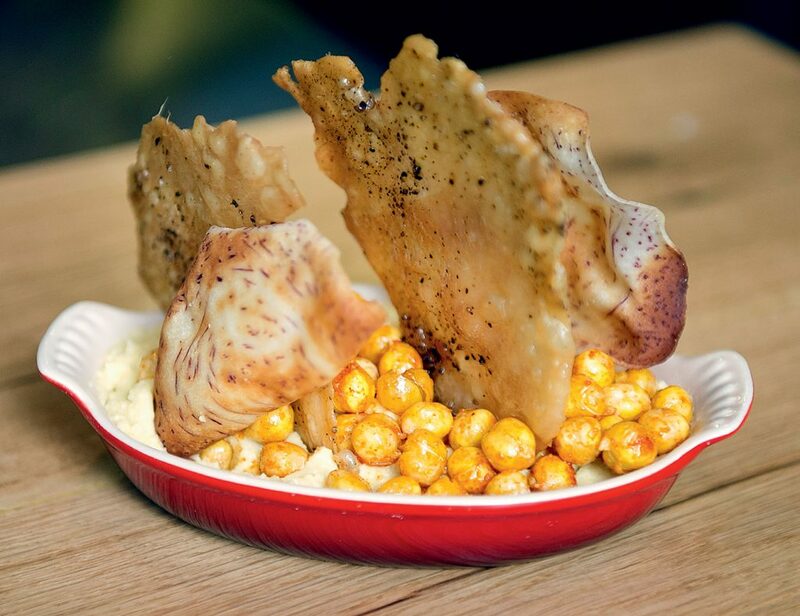 Fried chickpea dip and crisps at Homer St. Cafe. 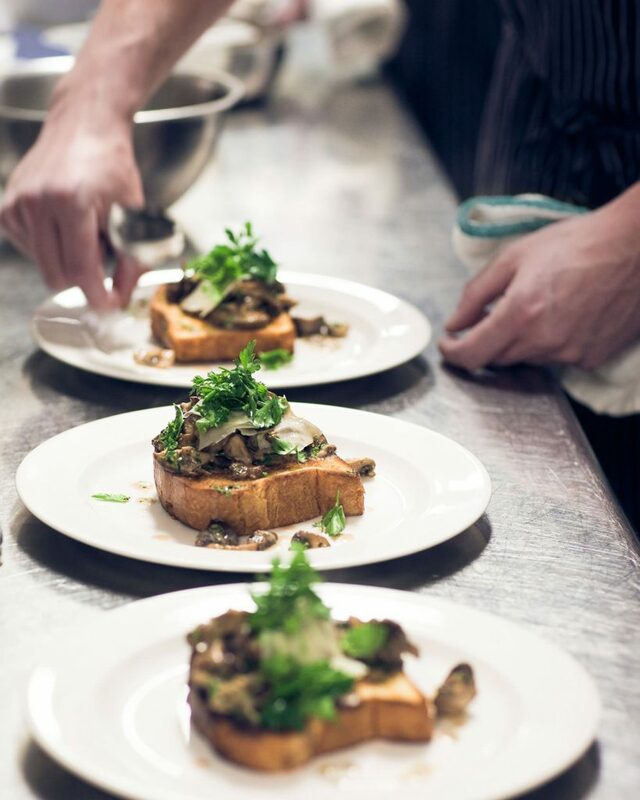 Mushrooms on toast, a Tableau Bar Bistro house favourite. The Cockpit at Homer St. Cafe. Homer St. Cafe’s Rotisol Grande Flamme Olympia Rotisserie. 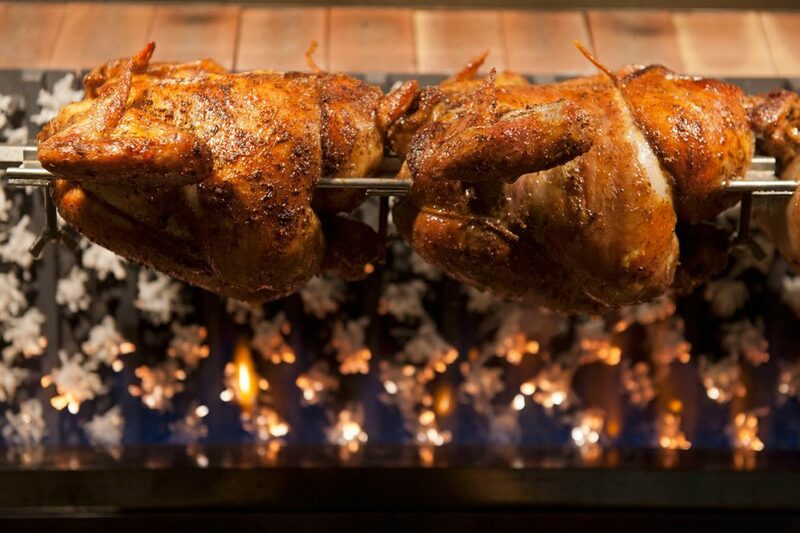 Tableau Bar Bistro, where fresh, local ingredients meet bistro cool. 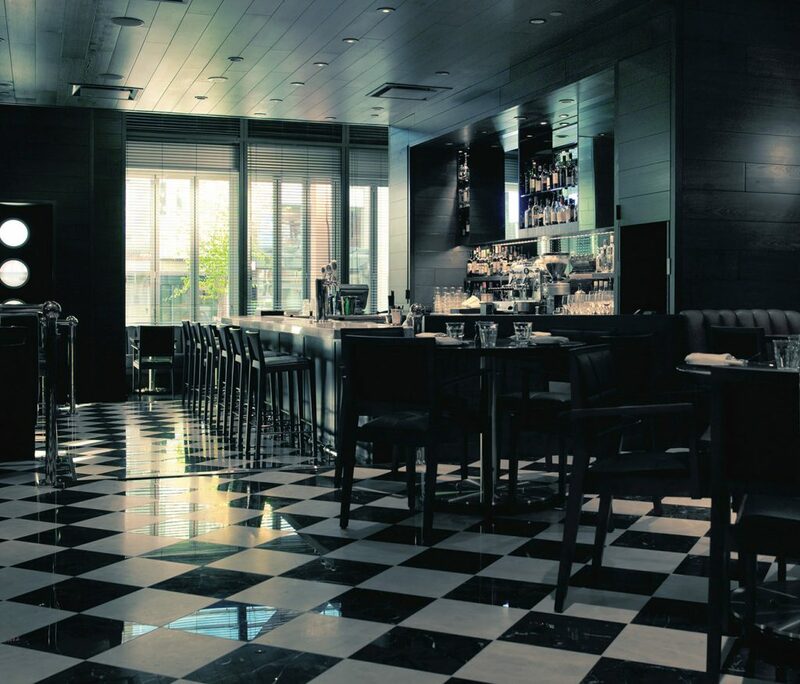 The now long-established trend toward a cuisine that is informed by fine dining but does not actually partake in the attendant rituals, service rigours, and costly set-up has made for some interesting times in Vancouver. To say fine dining is dying a slow death is an overreaction, and far too pessimistic. Still, for some chefs, trained and tested in some of the world’s finest kitchens, the right path right now is to cook food that people are comfortable with, and stretching the culinary limits is kept on a mostly discreet level. One such chef, whose entire education and in-kitchen training was French classical haute cuisine, is Marc-Andre Choquette. And he still has a scar or two from his winning efforts as part of Team Feenie on Iron Chef America to prove it. Choquette is executive chef at the popular Tableau Bar Bistro restaurant in the Loden Hotel and at the new Homer St. Cafe and Bar. 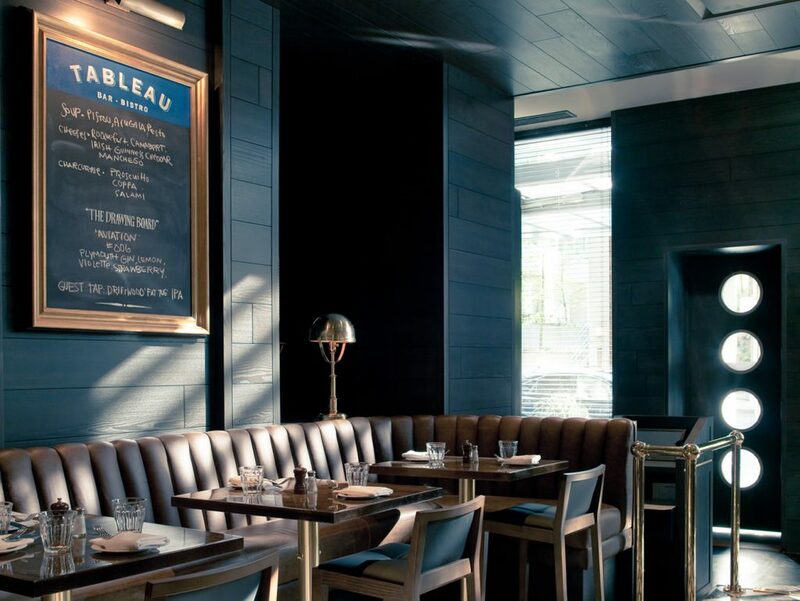 Tableau’s first incarnation was as Voya, but, as he says, “that was more globally inspired, and it was seen as a special-occasion restaurant. With Tableau, we have moved towards more home-cooked flavours, dishes people can identify with, approachable French bistro fare.” Some key design changes have helped immensely as well, including a street entrance, dedicated front door for Tableau. Now, it has a great street presence unto itself. What was formerly part of the bar and lounge is now an attractive row of street-side tables, both at the front windows inside, and al fresco, so there is a nice urban buzz that makes the place feel alive. Choquette acknowledges his classical training, and says, “The food here is still French bistro–inspired. But of course we can focus much more on the local and seasonal ingredients now. The important thing is not that we have steak and frites, or a nice cassoulet, or bouillabaisse. 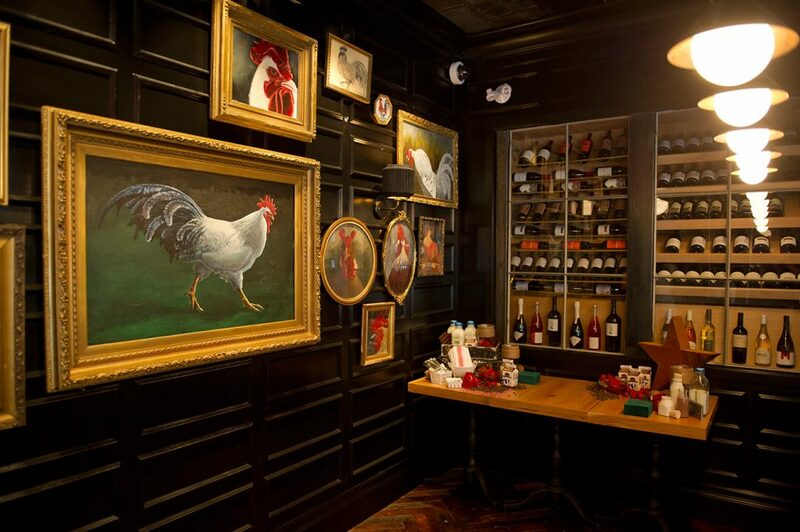 We want it to be the best steak frites they’ve ever had.” The menu has some lovely flourishes, such as a flatbread section, fresh shellfish, a daily special, and a house-made rabbit terrine. “When we interview people who want to work in our kitchen, I tell them they will not be learning the Michelin ways,” says Choquette. “But they will learn how to make a terrine from scratch, how to be efficient in an extremely busy kitchen, how to put quality first. 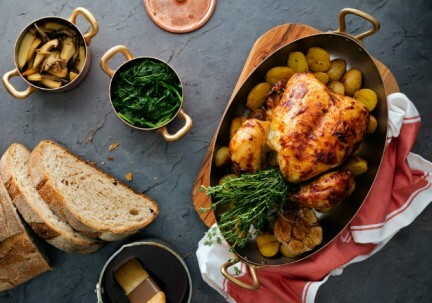 The will learn how to really cook in a professional kitchen.” This clear understanding he has, of both the tradition he came from and of his current situation, where fine food goes out in high quantities, all of it crowd pleasing, all of it perfectly executed, makes Choquette a force to be reckoned with. And it does not stop there. “We had done some travelling, mainly to places like Portland, Seattle, Chicago, New York. 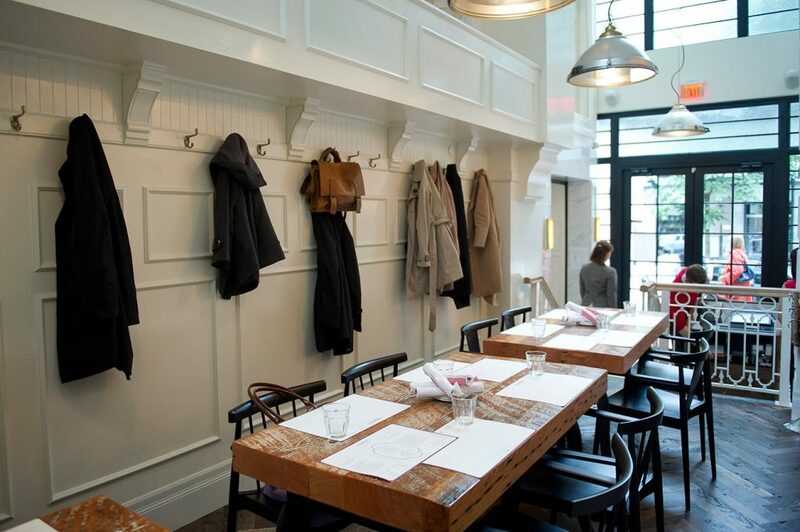 There is a lot happening in those cities in terms of how fine dining is evolving, and how a more casual restaurant can still be great.” So when the Loden owners decided they wanted to have a restaurant in their new development at Homer and Seymour, which included The Beasley and the Homer buildings, they turned to Choquette. His first step was to promote Tableau executive sous chef Tret Jordan to chef for Homer St. From there, to installing a large Rotisol rotisserie and on to establishing a menu that actually is consistent and shares the same DNA with what Choquette does at Tableau but is unique unto itself. “We do not take Tableau dishes and transport them to Homer. 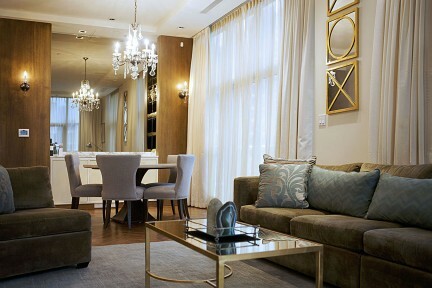 No way.” The physical space is charming on many levels, including the fact that there are several smaller dining areas within the overall space, and thus a kind of spacious intimacy is created. Diners feel part of a crowd, but never actually crowded. 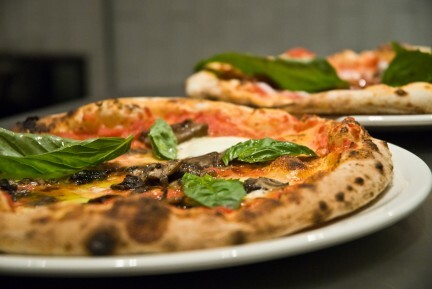 Wine programs at both restaurants are loaded with lesser-known varieties and bottles, but all with a fantastic affinity with the food being placed in front of people. This was obviously carefully considered; as Homer St. sommelier Alex Thornley says, “We try to offer people something they may not have experienced before, but are confident they will really love.” Special purchases, limited supplies at times, mean the list evolves often, but that only adds to the strength of the overall program as diners become used to the idea of trying something new.